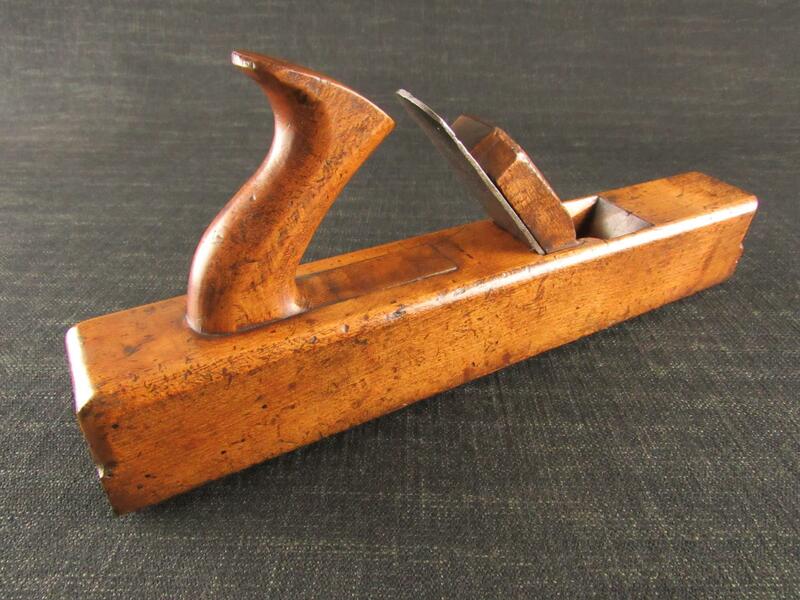 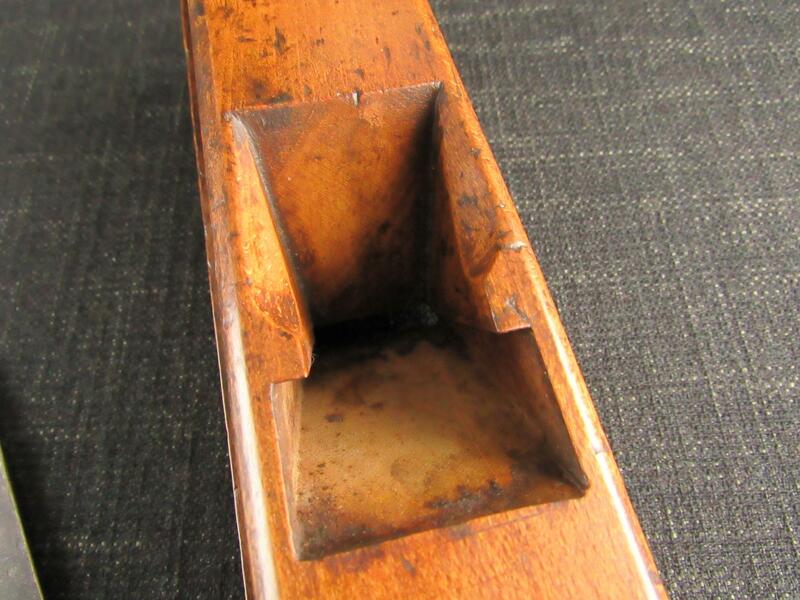 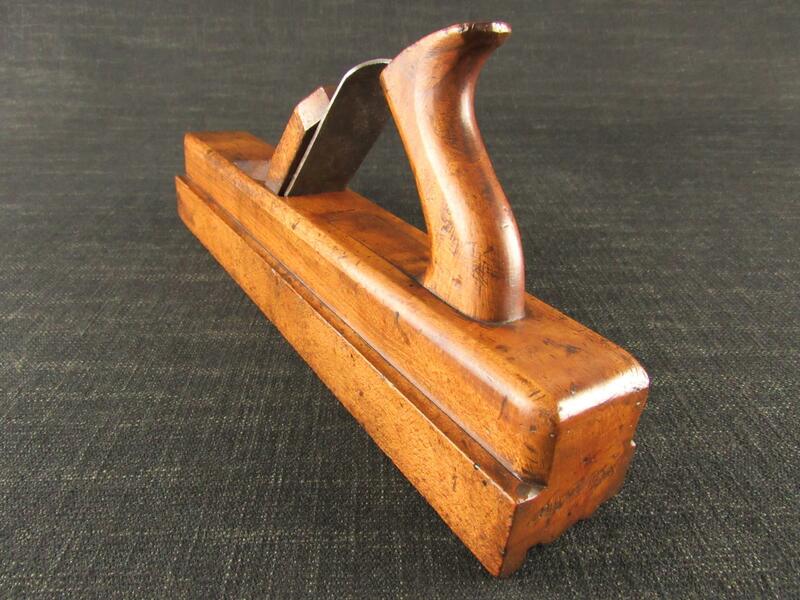 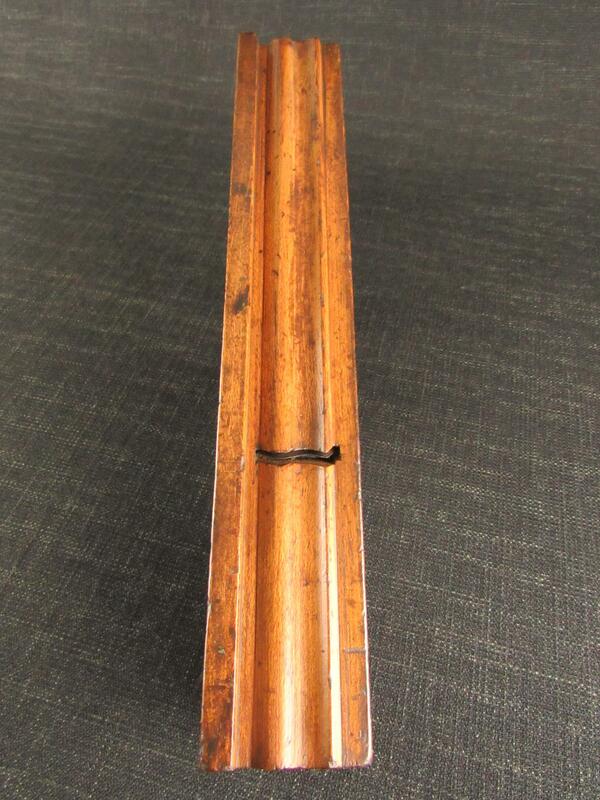 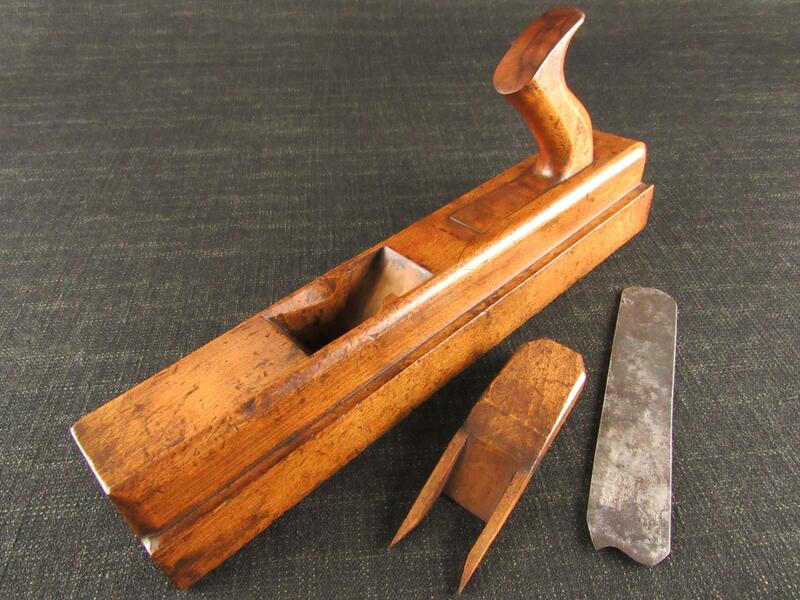 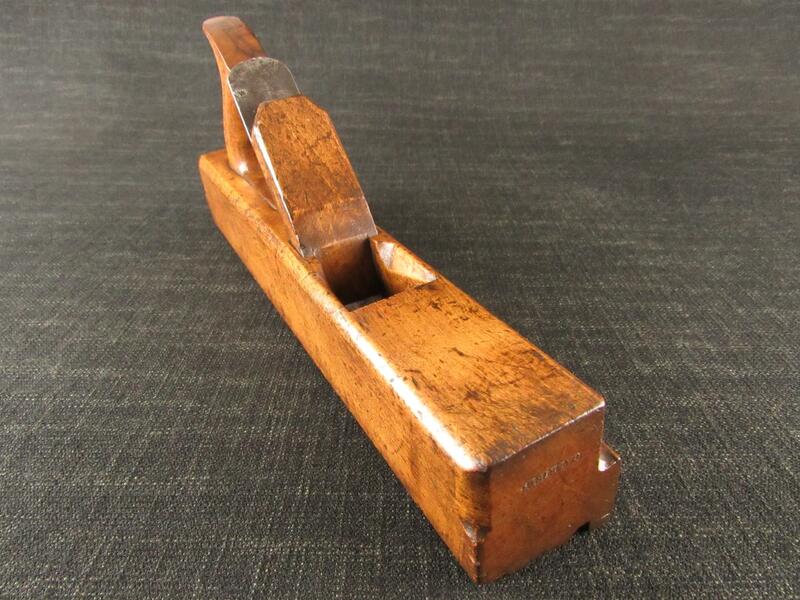 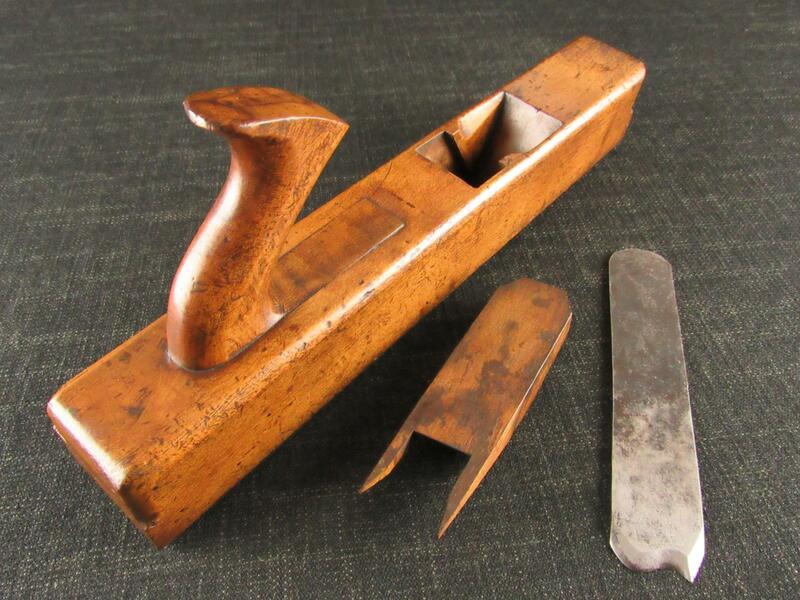 A rare 18th century cornice or crown moulding plane by Christopher GABRIEL of London. 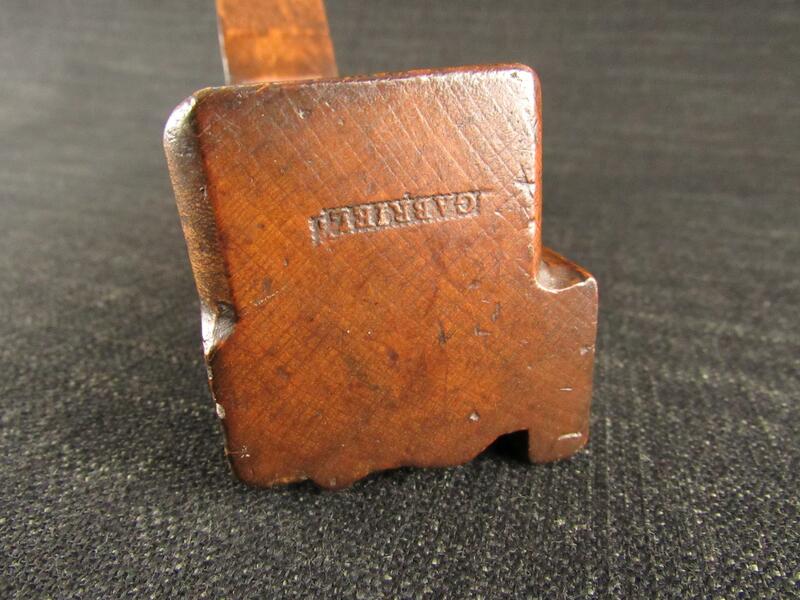 Clear embossed mark 'GABRIEL' to the toe. 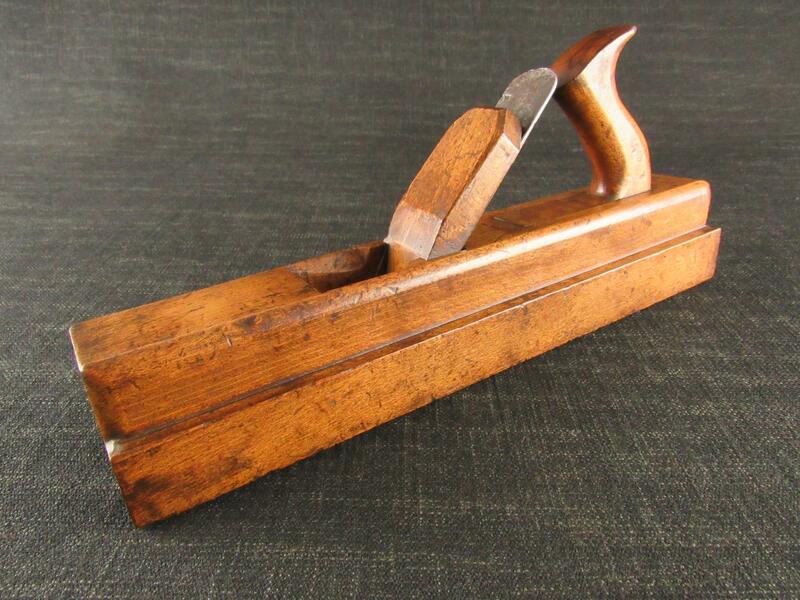 These handled moulding planes were used to create the decorative cornices for furniture and room interior fittings. 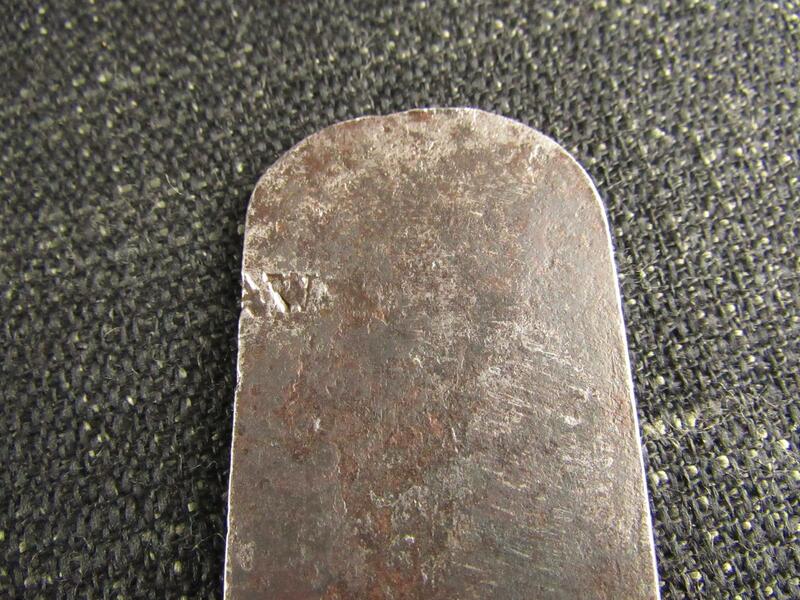 This example by GABRIEL is fitted with a single round topped blade iron by Philip LAW. 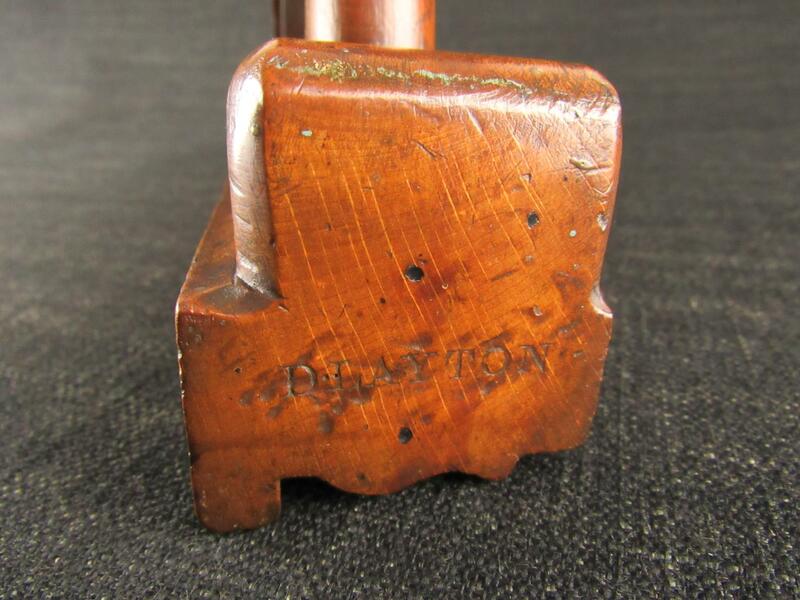 Previous owner's stamp 'D.LAYTON' on the heel. 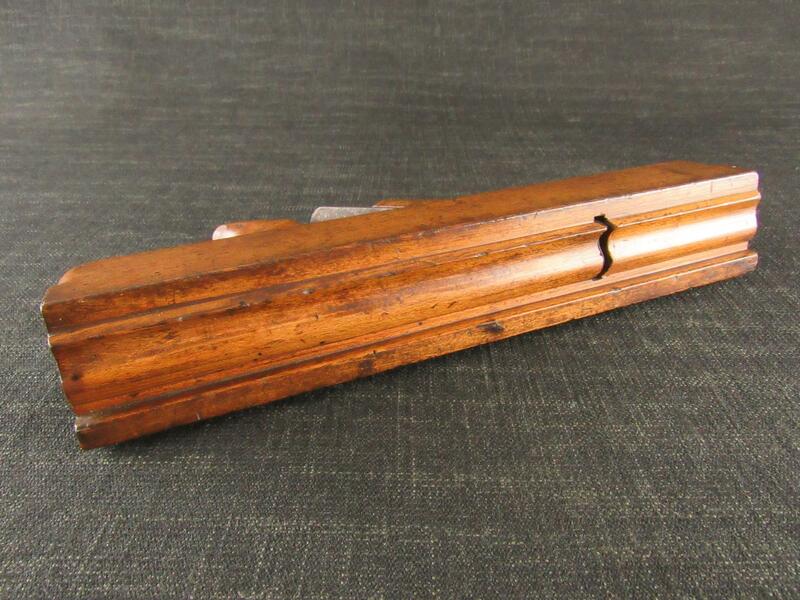 21/4 inches wide, 14 inches overall length.